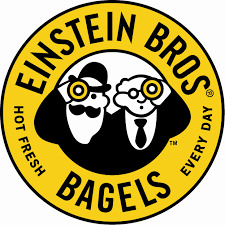 Free Bagel at Einstein Bros.
Print and use your coupon for a Free Bagel & Shmear at Einstein Bros. when you become a fan on Facebook. Click on the “Offers” tab. This coupon expires on Sunday, May 2. Thanks goes to Carrie’s Sweet Life for spotting this hot Facebook freebie! No purchase is required to get your free bagel!